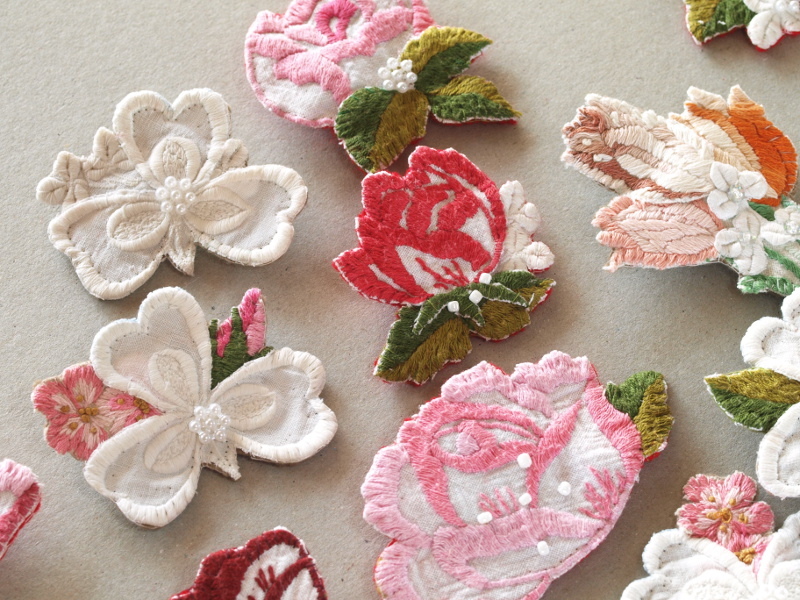 This is the ideal handcraft to preserve the essence of sentimental embroidered family heirlooms. The table cloth with a mould stain, or frayed serviettes make ideal material. 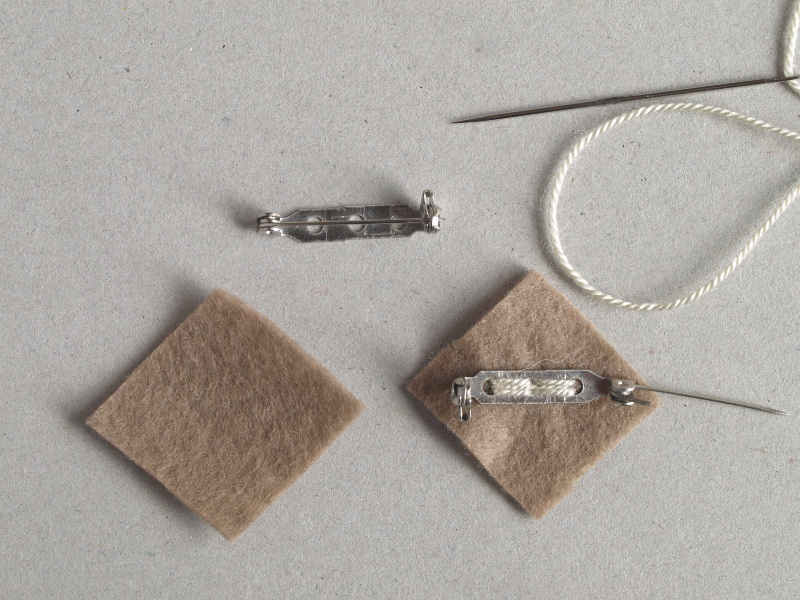 If you’re clearing out and nobody wants Granny’s linen – why not make each member of the family a linen brooch for Christmas! Below are both pictoral and video instructions for you to follow! 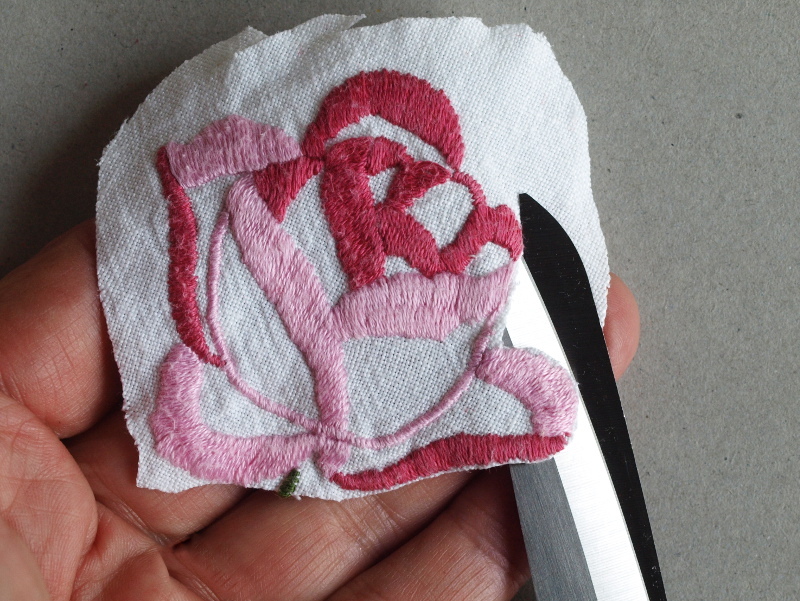 A piece of embroidered linen, that you are able to cut up. 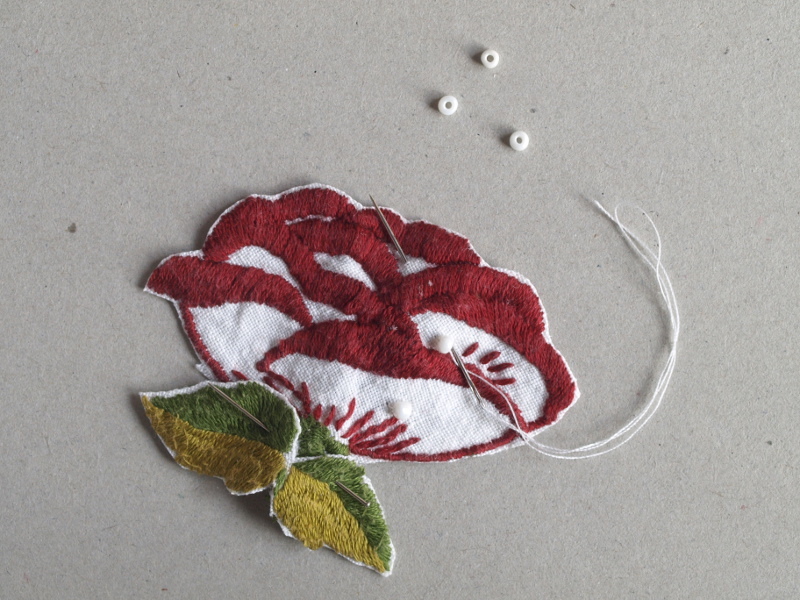 You will need motifs of a suitable size, edged in satin stitch to prevent fraying. 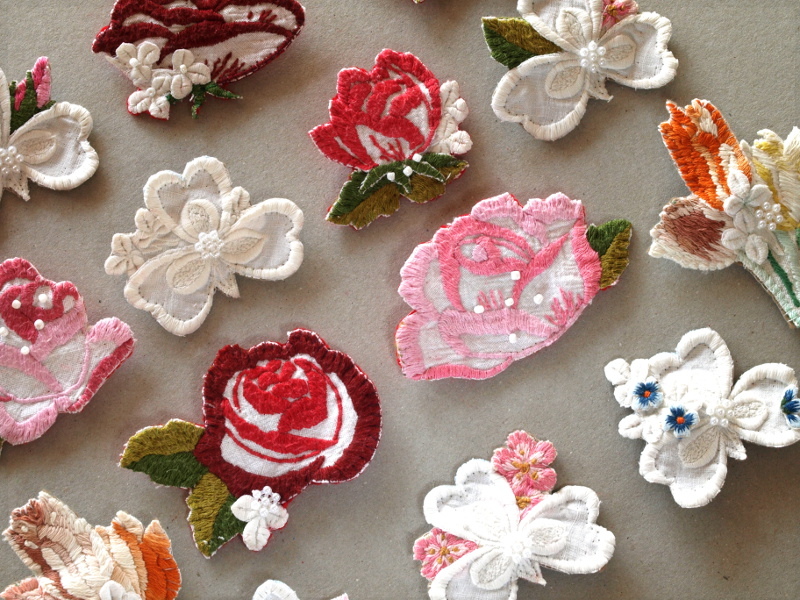 Select a suitable piece of embroidery. 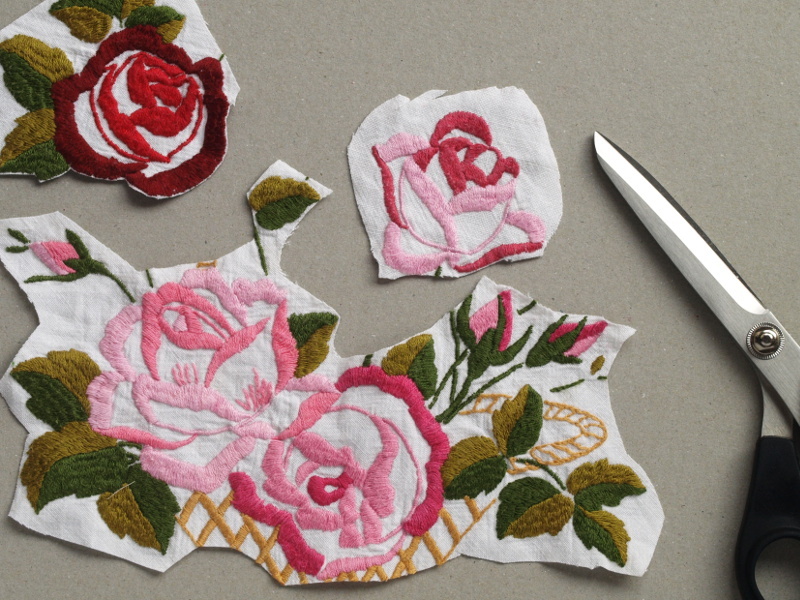 Carefully trim around the edges, being carful not to cut the embroidery stitches. 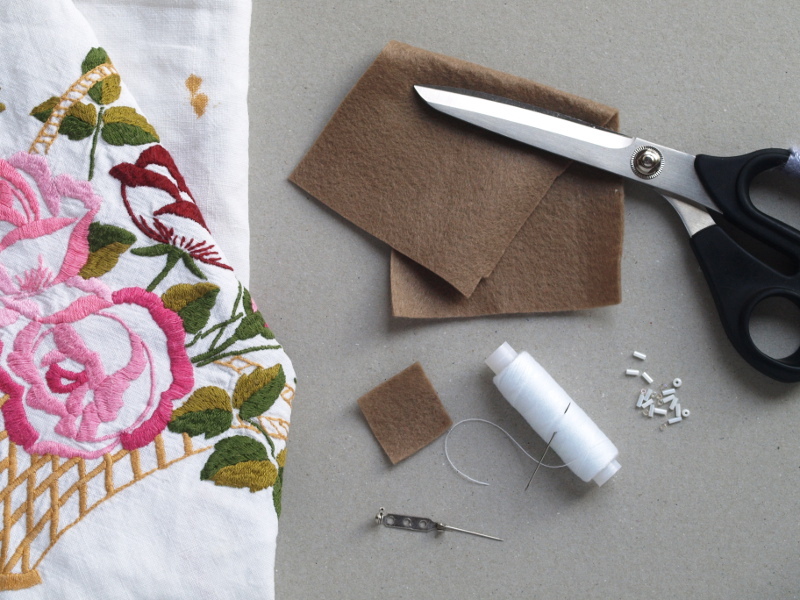 You may stitch together separate pieces of embroidery to create the motif you want. Add additional decorative beads at this point if you like. 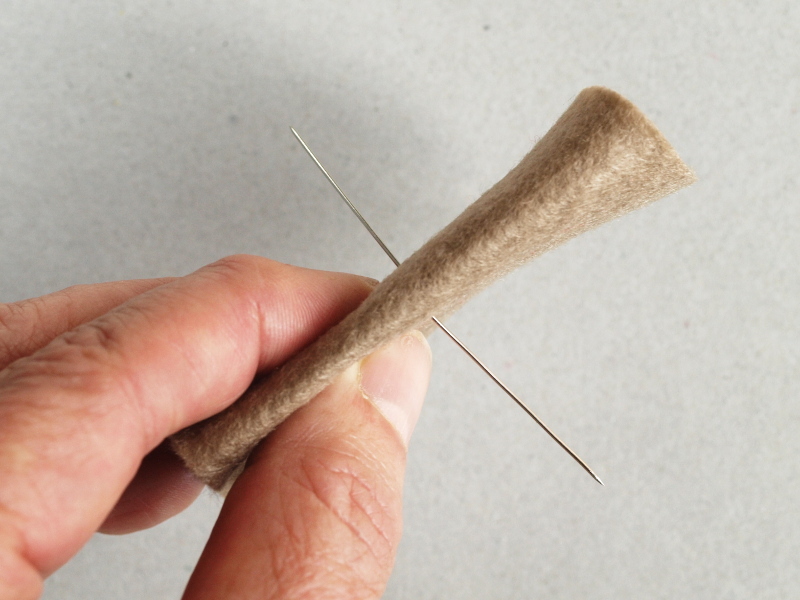 Securely stitch the brooch pin onto the small piece of felt. 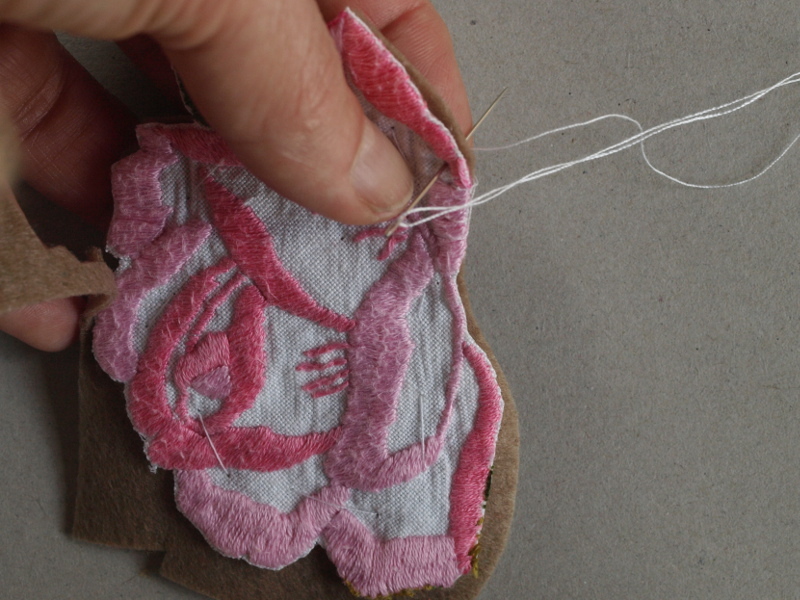 Stitch this onto the back of the embroidery work by catching the underneath of the embroidery stitches. 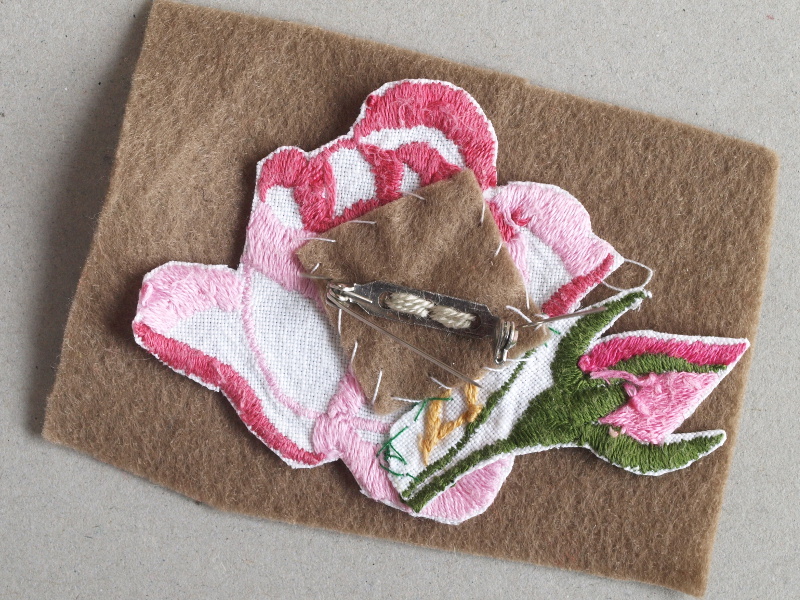 Place the motif onto the larger piece of felt. 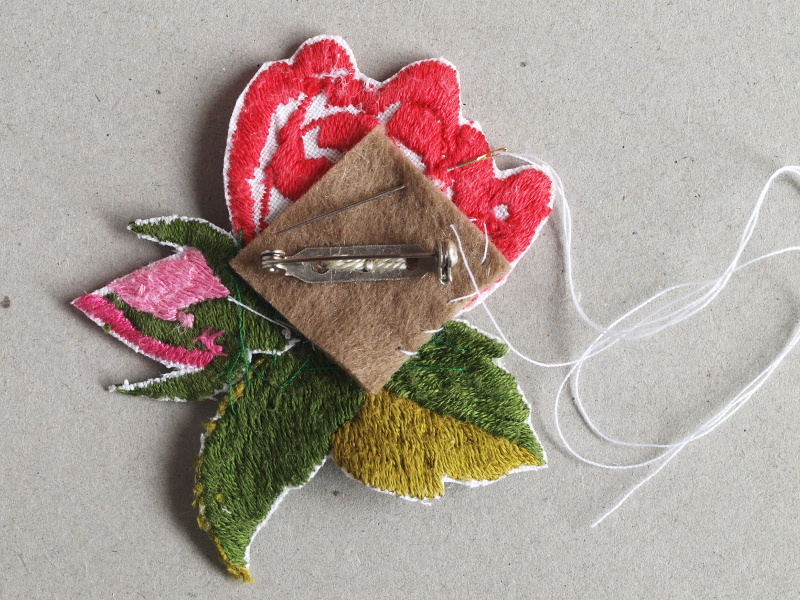 Push a pair of pins up through the felt and motif from underneath to mark the position of the brooch pin. 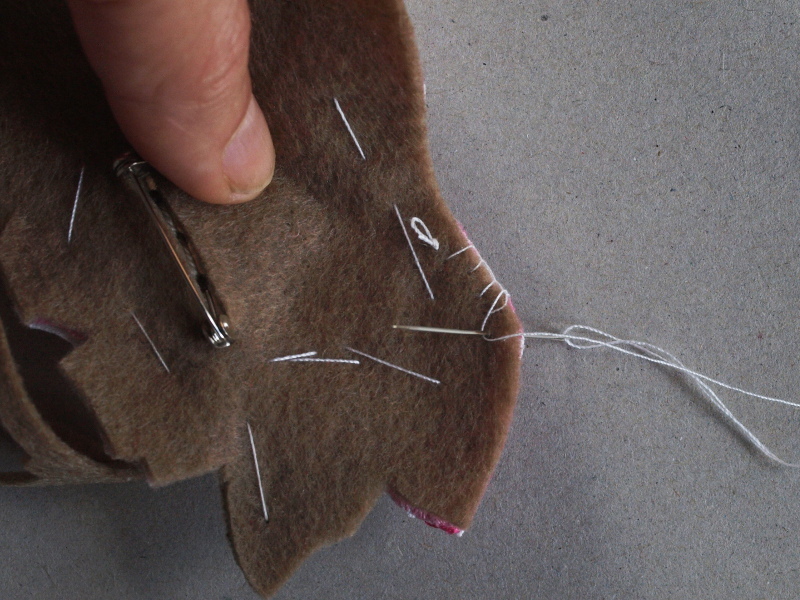 Using the pins to guide you, cut a slit in the felt for the brooch pin to fit through. 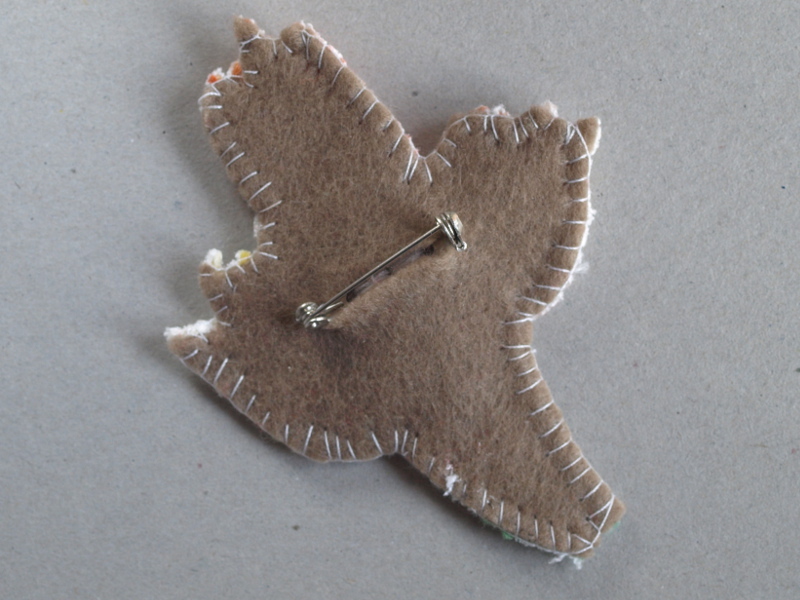 Place the felt under the motif. Tack the motif onto the felt layer. 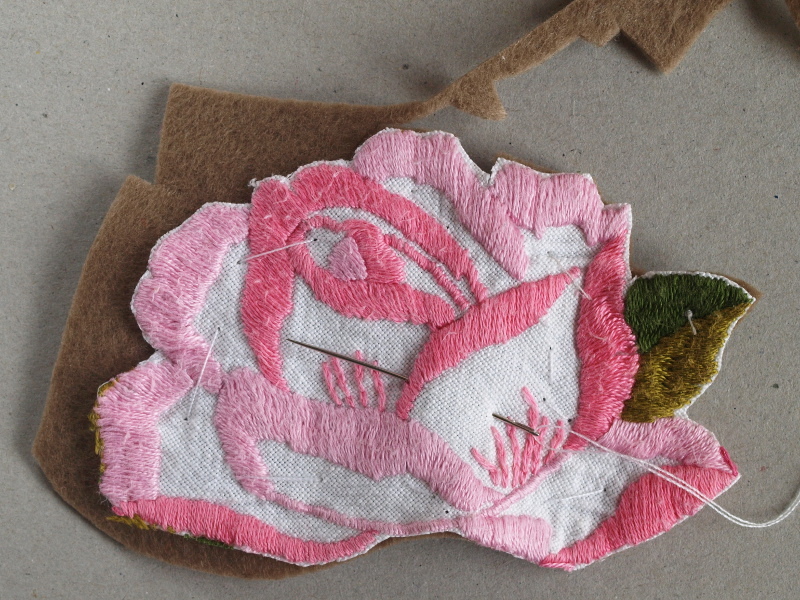 Trim the felt in line with the edge of the motif. 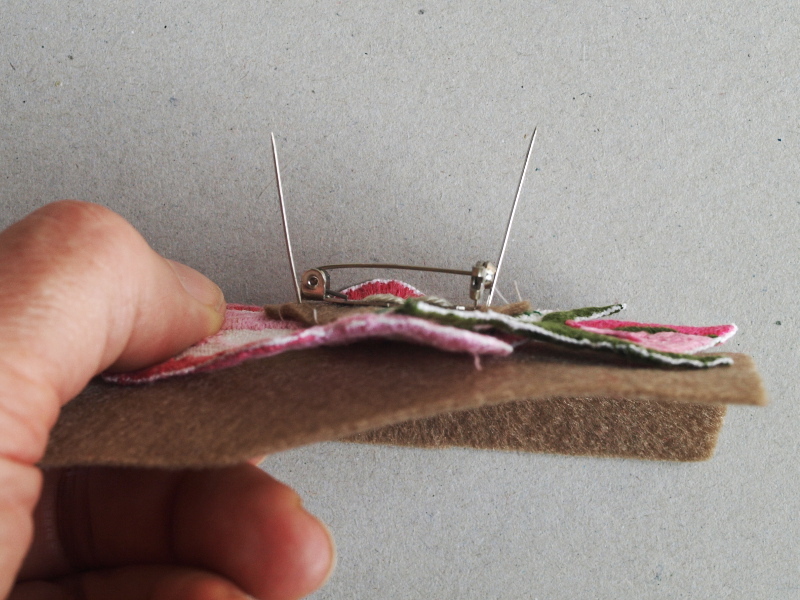 Blanket stitch around the edge to combine the layers. 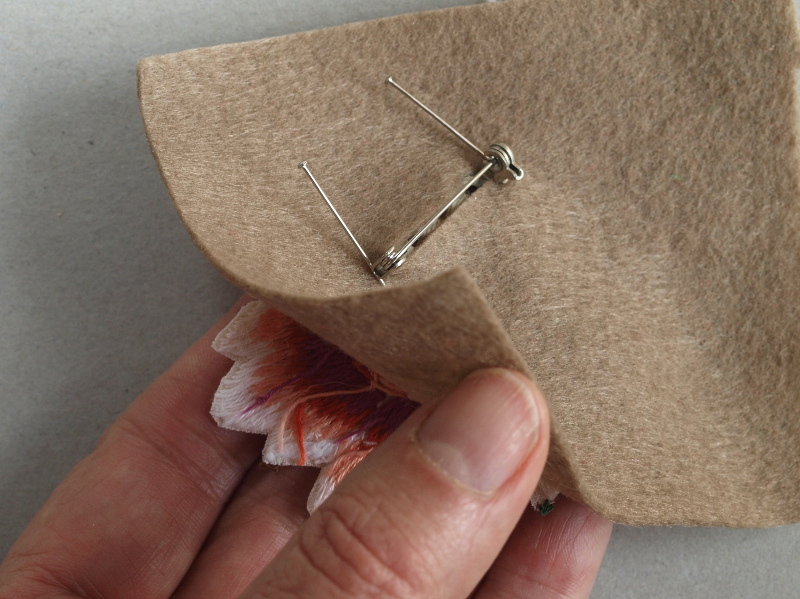 Remove the tacking stitches and your brooch is ready to wear. Now make a whole lot more! 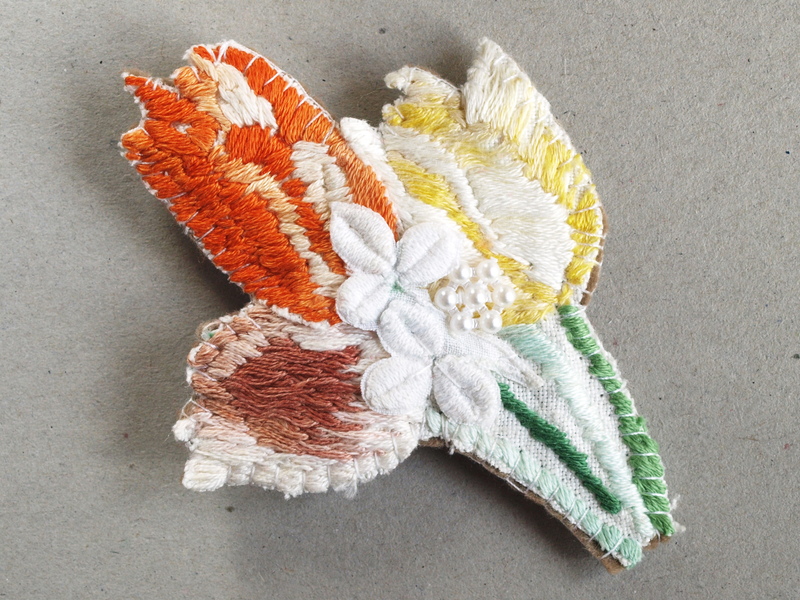 This linen brooch is gently washable. Hand wash and dry on a towel.